Last week, we showed you how product videos are effective as marketing tools because they cement bonds with the consumer. But videos are just one branch of a personalized multichannel marketing campaign. To be a real pro, you need to reach out across media. “Customers engage with brands across many online and offline channels today, making it challenging for marketers to get a complete picture of the customer journey,” said Stephan Dietrich, vice president of Adobe Campaign, a newly launched cross-channel campaign management platform. Determine your audience. Do your research. Figure out who your buyers are, their personalities and preferences. 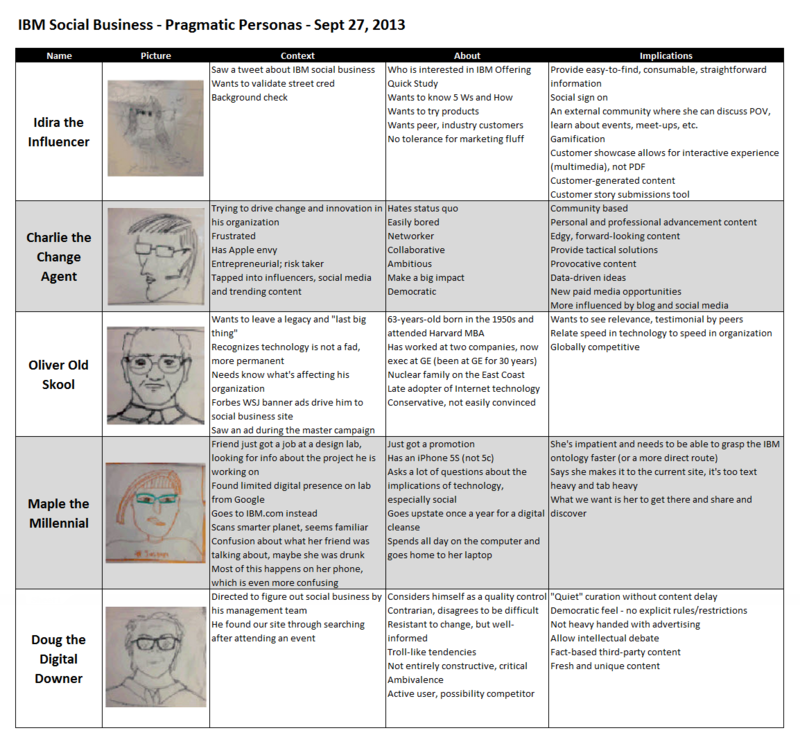 Here are some profiles that IBM created of potential customers. Track and analyze your audience data. Get to know their online profiles and behaviors. Entrepreneur Gideon Kimbrell says his company maintains almost a gigabyte of data on every user. Reach out on social media. American Express, for example, has partnered with retailers in real-time marketing promotions on social media by mining a customer’s location and credit card activity. Treepodia can utilize data collected over time on an e-commerce website to tailor a personalized video for each viewer. Check out our personalized online poker video. Our videos can also show items that were dropped at checkout or that complement previous purchases. For example, people who bought a beach ball are shown a bucket. Personalized multichannel marketing is dynamic and complex. But the payoffs are real, and it’s important to get started with your campaign before you fall too far behind. Research shows that companies that actively market over multiple channels more effectively utilize their assets. Click here to see how Treepodia can help you with personalized video marketing.